For Beben who request character of Naruto, here it is, I make character of Sasuke. another character insyaAllah will coming..
this widget animation is on Full width mode, so it'll running on your web/blog..
my first widget on Full Width mode is Wolverine character, he will running on above on your web/blog and welcoming your visitor and tell about the time. it's kind funny, it is't it? insyaAllah, I'll make it on application, so you can use it, and Wolverine will appear and running on your desktop..
this is another widget animation that I get from cartoon hero's character, this time I make Superman flying and welcoming your blog visitor. In the Holy Qur'an, God teaches human beings that they were created in order to worship Him, and that the basis of all true worship is God-consciousness. Since the teachings of Islamic encompass all aspects of life and ethics, God-consciousness is encouraged in all human affairs. Islam makes it clear that all human acts are acts of worship if they are done for God alone and in accordance to His Divine Law. As such, worship in Islam is not limited to religious rituals. The teachings of Islam act as a mercy and a healing for the human soul, and such qualities as humility, sincerity, patience and charity are strongly encouraged. Additionally, Islam condemns pride and self-righteousness, since Almighty God is the only judge of human righteousness. The Islamic view of the nature of man is also realistic and well-balanced. Human beings are not believed to be inherently sinful, but are seen as equally capable of both good and evil. Islam also teaches that faith and action go hand-in-hand. God has given people free-will, and the measure of one's faith is one's deeds and actions. since because of I really like to X-MEN Movie, especially the character of Wolverine, then I make this widget. here is the other widget animation for fans of Avatar: The Legend of Aang. in this widget, I use Katara character that tried to turned the fire out using her power on controlling the water. you can download screensaver about it from this link..
feel free to use it..
you can have screensaver of this widget on this link. This message Creator special for IDUL FITRI or Hari Raya Lebaran. I got this sample of Lebaran's message from here, you can try that link..
to put the animation on your blog, just fill the message below and copy-paste the code on your blog. this Message Creator can not be use by wordpress user. For you fans of Avatar, beside the application and widget that I've made before, you can use this is message creator, you can add your own message in the middle of Avatar: The Legend of Aang action here, and then you can placed your message and the animation on your blog. to put the animation, just fill the message below and copy-paste the code on your blog. this is widget about "mudik lebaran"..
this widget show you activity around of Mudik before and after Lebaran. you can send this widget (put it on your blog) for your friend to inform your friend about your mudik activity. this posting I made for you if you want to making your own message in the middle of Qur'an animation. You can add your own message here, and placed the animation on your blog. this posting I made for you if you want to making your own message in front of Mosque widget animation. 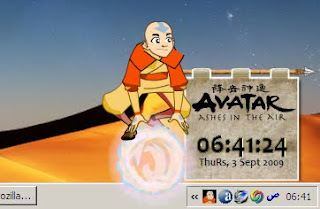 This widget just like the application before, this widget (and the application) is specially for the fans of Avatar: The Legend of Aang. 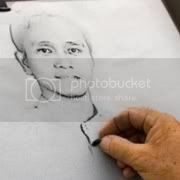 This is my first application on this blog. This application show the animation move of Avatar, The Legend of Aang. 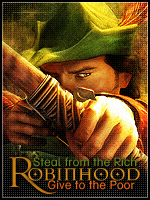 you can use it on your windows by downloaded it and run it on your desktop. This widget animation is for woman's blog, especially who's like with BLUE color. This widget animation is for woman's blog, especially who's like with YELLOW color. This widget animation is for woman's blog, especially who's like with red color.